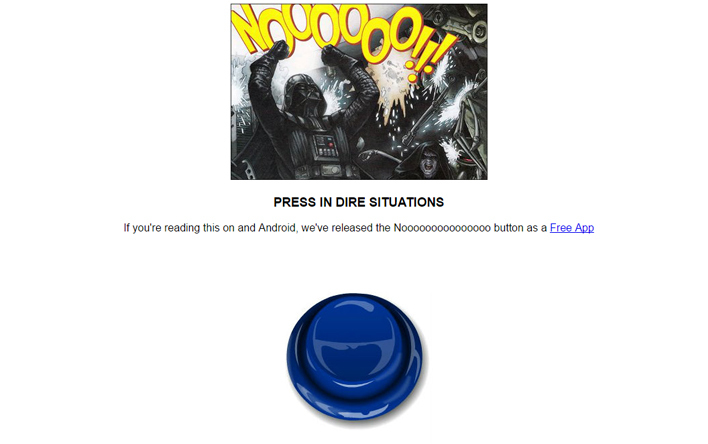 The button came about after Scott Stratten of Unmarketing sent out a tweet asking for some quick flash work. I responded and the button was completed and sent back to Scott in a few minutes. Scott then worked his magic, slapped a cool graphic on top and created nooooooooooooooo.com. We’ve since converted the button over to HTML5 so it works on all modern devices. It’s crazy how the internet works. I no longer do Flash work, in fact that may have been my last Flash project, but it still drives a ton of traffic to this site. nooooooooooooooo.com still gets thousands of views per day and every once and awhile I stumble across it in the comments section of a reddit thread.